Hello Dosto Aaj Ki Es Post Me Hm Instagram Account Ko Delete Or Deactivate Karna Sikhege. Instagram Aaj Ke Time Me Kafe Popular Social Networking Website Hai. Jise Facebook Duvara Hi Bnaya Gya Hai. Ager Aap Janna Chahte H Ki Instagram Ko Kese Use Kare Click Kar Ke Jan Sakte Ho Or Instagram Account Permanently Delete Kaise Kare Janna Chahte Ho To Post ko Padte Rhiye. Aagr Aap Instagram Account Ko Thode Time Ke Liye Delete Karna Chahte Hai. To Aap Account ko Delete kar Sakte Hai Or Fir Kuch Time Ke Bad Me Bhi Waps Activate Kar Sakte Hai. Aap Apne Mobile Ya Computer Me Browser Ko Open Karke Instagram.com Ko Visit Kare Or Apne Instagram Account Ko Login Kare. Profile Icon Par Click Kare Or Uske Bad “Edit Profile” Option Par Click Kare . Ab Aapke Page Ke Ekdm niche Temporarily Disable My Account ka option Aayga Us Pr Click Kare. Easke bad aapke pas Ek Option Aayga Why Are You Deleting Your Account Uske kisi Ek reason ko select kare . Fir Aapko Apna Instagram Password Dalna hoga Temporarily Disable Account Par Click Karna Hoga . Yah Lijiye Dosto Aapka Instagram Par Account Temporarily Delete Ho Gya Hai. 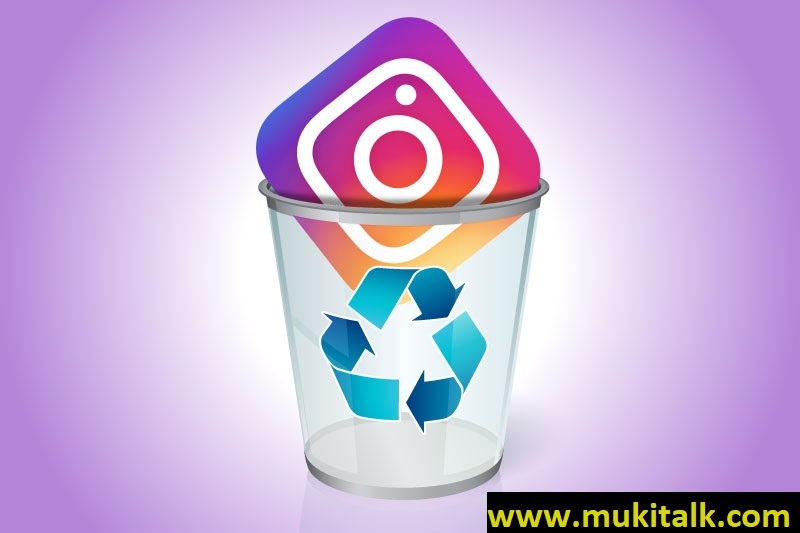 Agr Aap Apne Instagram Account ko Permanently Delete Karna chahte h to Step by Step Follow kare Ek Bar Instagram Account Deactivate Hone ke bad Apne Followers, Likes, Comments ko Waps nhi pa sakte h.
Instagram Delete Karne ke lie Option kevl Browser me hi Show hota h . Instagram App me nhi Easlie Account Delete karne ke lie Mobile Ya Computer Ke Browser Ka Use Kre. Sabse Phle Instagram Ke Go To Delete Your Account Page Ko Open Kare Or Apni Instagram Login Id Or Password Login Kare. Why Are You Deleting Your Account Par Click Karke Reason Ko Select Kare Or Instagram Id Ka Password Enter Kare. 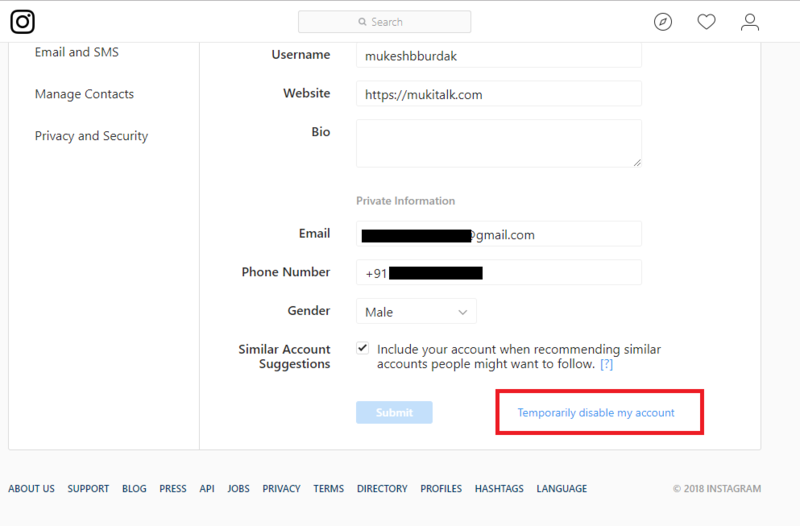 Permanently Delete My Account Ka option Show Hoga Or Uspr Aapka Instagram Account Permanently Delete Ho Jayega . To Dosto aaj ki yah Post Instagram Account Ko Kaise Delete Kare Ki Post kesi lgi Comments karke jruru Btana.